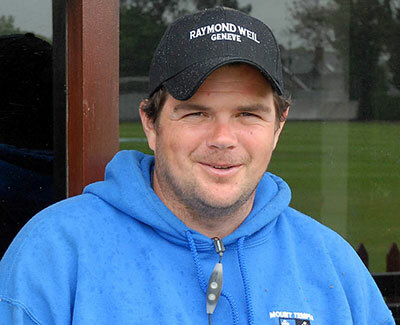 McDermott landed the head groundsman role following the retirement of Mick Hunt - a regular visitor to Ireland's shores - who had been in the prime role for 49 years. The 43 year-old will have to hit the ground running in what is one of the busiest and most high profile of all English summers. There's the little matter of the Ashes, World Cup final and of course the historic first Test clash between Ireland and England. Karl McDermott's route to the top job wasn't a straightforward one as he explained to PA Sport. "My maths teacher at school was the groundsman at Clontarf. I didn't play cricket, I knew nothing about it," he said. "I was 14 and he was looking for a non-cricketer to give him a hand in the summer. I did it for a couple of hours a week, for five Irish pounds." McDermott was at Clontarf for 17 years, helping the club host the 1999 World Cup clash between West Indies and Bangladesh - famous for the photo of Clive Lloyd wrapped in a blanket. He helped out at Worcestershire before taking a role at Hampshire in 2009, getting the role of head groundsman in 2016. His arrival at Lord's coincides with the visit of Ireland and it is that game rather than the Ashes or World Cup which has whetted the Dubliner's appetite. "The World Cup and the Ashes are brilliant but having Ireland here... how many times are Ireland going to play here again? It's going to be a brilliant experience. "Obviously I have a lot of friends and people coming over, and I'm getting texts saying 'the masterplan is in place' and things like that. "Would I take an Ireland win or a good pitch? I'd take a good pitch, no doubt. Irrespective of the result the pitch is the main focus and the main goal for me - but I'd take a high-scoring Ireland win."